It is hard not to be stunned as you drive through the alley of Imperial Palms and spot Palácio Tangará for the first time. Opening just last month, it is considered the most luxurious retreat in Brazil, if not South America. 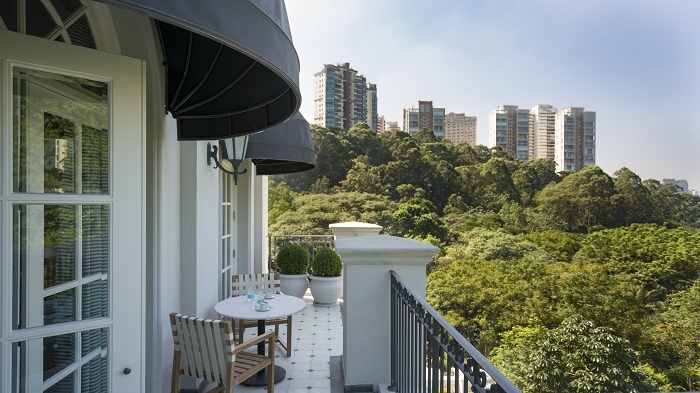 Although located in the heart of the economic capital of country, São Paulo, the hotel is surrounded by the iconic Burle Marx Park, whose 108,000 square meters are home to a wide variety of rare tropical birds and flora. However, the defining feature is not its wildlife, but rather the signature aesthetic imprinted by the late, great Roberto Burle Marx himself; the man whose name is synonymous with the art of landscape architecture. His trademark curvilinear design is most recognisably seen on Avenida Atlântica, the iconic Copacabana beach promenade in Rio de Janeiro. On this occasion, the park offers the perfect setting for the hotel. The hotel’s name, Palácio, means palace, which is not an overstatement for this luxury property. In total, there are 141 spacious guestrooms and suites in the converted mansion, all with beautiful views overlooking the park. The interior design was led by top Brazilian creators William Simonato, Luis Bick and Patricia Anastassiadis, all of whom have combined to create a truly bespoke concept. There are also nine rooms for events, boosting the MICE market, which are all bathed in natural daylight. 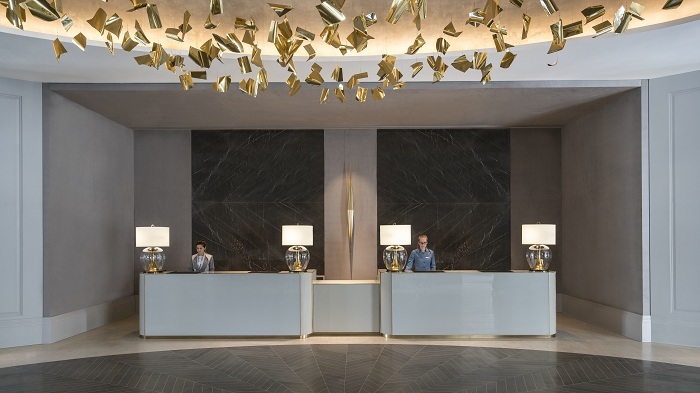 On arrival, the sunny lobby gives an idea of the hotel’s decoration - contemporary, with marble and grey tones. 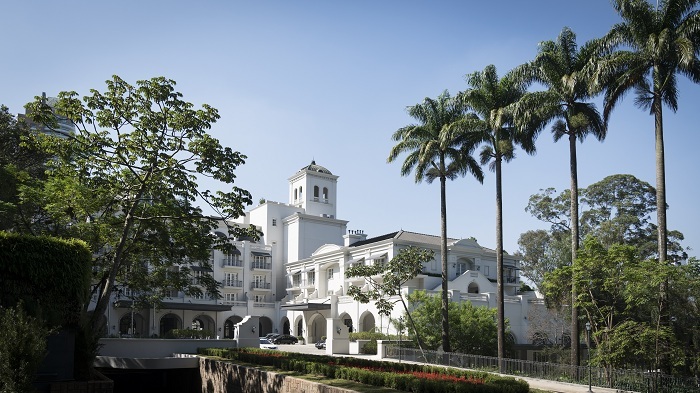 Palácio Tangará was originally built as Tangará Ranch in the late 1940’s by wealthy Brazilian, Francisco ‘Baby’ Matarazzo Pignatari, as a magnificently romantic gesture for his then-fiancée. However, following the demise of the marriage, the property was left abandoned. 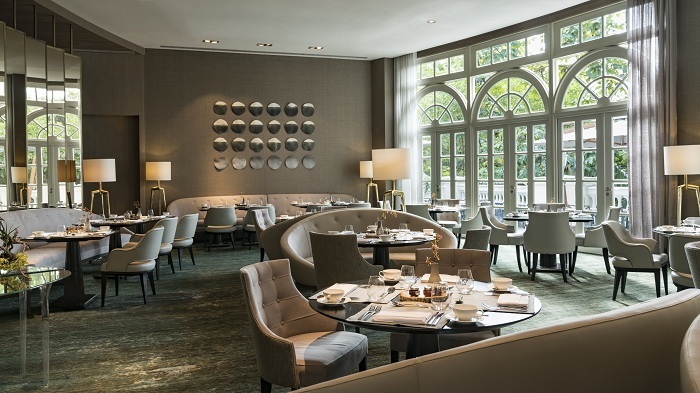 Nearly twenty years later, and the original Tangará project was taken up by the Oetker Collection - the German company behind Le Bristol in Paris and the Lanesborough in London. The luxury outfit has renovated the romantic monument and launched it as its first foray into the Americas. “Since the foundation of Oetker Collection, we have always listened to our most loyal guests in order to identify the destinations they favour most,” explains Frank Marrenbach, chief executive, Oetker Collection. 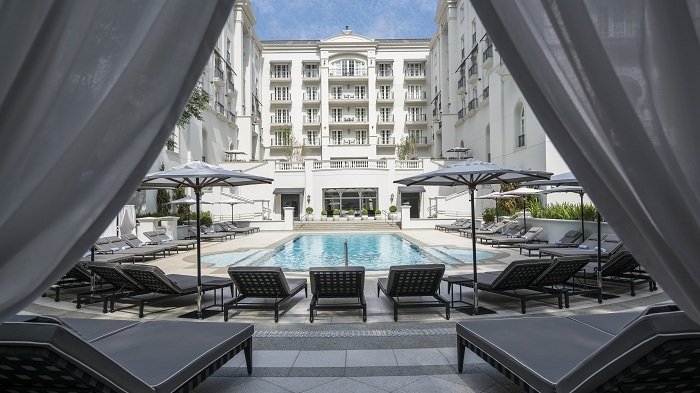 “With this new property we continue to carefully expand the Oetker Collection portfolio while remaining truthful to our promise – not to just open new hotels, but to create true masterpieces. In the lobby, the black grand piano adds to the atmosphere. It sits next to the bar, where the guests can eat and drink while also listening to solo performances on the violin. After the check-in, we are escorted to our room by an employee that seems to know every inch of the facility. Spread over the 70 square meters of the bedroom are a sofa, table with chairs, a large TV on the wall, the extensive mini-bar, and of course a shamelessly comfortable bed with different types of pillows. The room’s balcony, which also has a table and chairs, faces the main entrance of the hotel and offers views over the surrounding area. A nearby fountain offers the relaxing sounds of running water. The bathroom, made entirely of marble, features a built-in bluetooth sound system, two sinks and an inviting tub. After a quick refresh, I leave the room, walk the long, well-lit corridors, and head to the restaurant downstairs. The house’s restaurant, Tangará Jean-Georges, is run by the renowned chef Jean-Georges Vongerichten, owner of more than 30 restaurants worldwide. The feeling of those who sit at one of their tables is of exclusivity. For starters, I was tempted by an asparagus, mushrooms and tomato salad with heart of palm and avocado cream, while for main I chose a short rib, lightly spiced, with braised carrots. Needless to say, the food was exquisite. To accompany meals, guests can choose one of the labels on the long wine list - the wine cellar is next to the restaurant and can be toured in the company of the resident sommelier. Near the restaurant is the bar – the only room in the hotel without natural light. The many nature photos on the walls and the dim light are designed to the guests to enjoy a cosy and comfortable environment, while choosing from a great variety of signature drinks. Back in the lounge, I go to the outside terrace on the ground floor. I was dazzled by the view of the swimming pool. It is well illuminated at night and has its own bar, which only the hotel’s guests can enjoy. Breakfast is served at the same place as the restaurant from the night before. There is a buffet with many options of breads, cold cuts, fruits, and juices. After breakfast, I had the chance to enjoy the astounding hotel’s Flora Spa – a calming refuge from the routine. On the way to the spa room, the guests are able to appreciate the view of the hotel’s indoor pool from the above. I felt instantly relaxed once I entered the room. This 1,500 square-meters spa features seven treatment rooms, and an indoor heated pool with natural light. What followed was an hour of an incredible aromatic massage and I left the experience absolutely energised. All too quickly my time at Palacio Tangará was over – and it was back to the bustle of the city proper. Palácio Tangará opened in São Paulo, Brazil, last month, marking a new era for European-owned Oetker Collection as it expands into the Americas for the first time. The hotel offers 141 spacious guestrooms - including 59 suites - all with beautiful views overlooking the park.